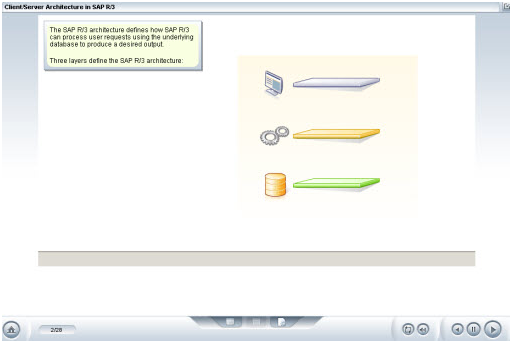 The SAP ERP architecture has evolved and been refined over a number of decades. 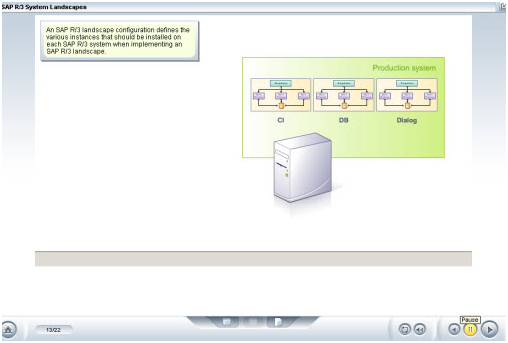 This course primarily discusses the client-server architecture in the context of work processes, SAP R/3 instances, and system landscapes as well as the NetWeaver components that have been introduced to extend R/3 capabilities. It explores how the various SAP systems can be configured to fit your business needs and budget. This course focuses on the use of SAP R/3, and offers additional information about the upgrades offered in SAP ERP 6.0, particularly the evolution of the R/3 architecture to web services, or Service Oriented Architecture (SOA).